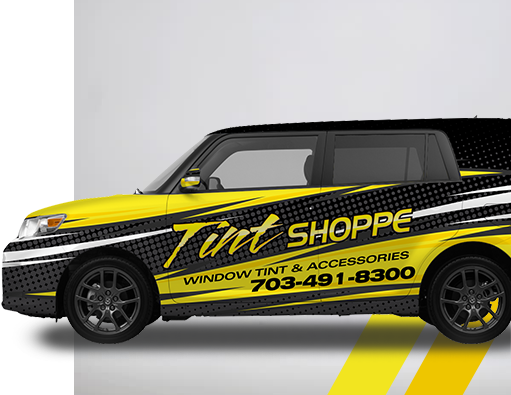 In business since 1998, The Tint Shoppe has been serving northern Virginia for over 20 years for car window tint and accessories. Specializing in automotive window tint and accessories, we offer the Suntek brand of window tint. Suntek Window Film is not like the other brands. You will find NO DYE or METAL in our tint like other shops. We offer a TRUE lifetime warranty against peeling, bubbling and fading. Ask us why our tint will warranty the big 3 and the others can’t. Over the years serving thousands of happy customers, we pride ourselves on giving the customer the best quality and service all the way to the end. We are a full service custom shoppe that sells custom wheels, truck accessories, tires, 12 volt electronics, window tint, and more. Most accessories are available the next day and we can install all the parts we sell. If you are ready to customize your ride, we can help.